Joe Paopao is returning to Ottawa. The Redblacks announced on Monday that the former head coach of the Renegades will be joining the club as running backs coach. The 63-year-old Hawaiian also played one season for the Rough Riders in 1987. Paopao spent the last four seasons as the offensive coordinator at Simon Fraser in Vancouver, the only Canadian school to compete in the NCAA (Div. II). He was the only coach in the four-year history of the Renegades franchise from 2002 to 2005. The team went 23-49 and missed the playoffs in all four years. 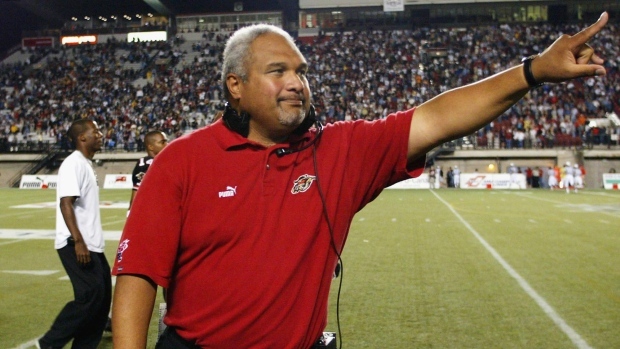 Paopao's CFL coaching experience also includes one season spent as head coach of the BC Lions in 1996, as well as coordinator work with the Lions, Edmonton Eskimos, Hamilton Tiger-Cats and Winnipeg Blue Bombers. Paopao was a quarterback in his playing days and spent 11 seasons in the league with the Lions, Saskatchewan Roughriders and Rough Riders.